To me, nothing is better than baked mac and cheese! 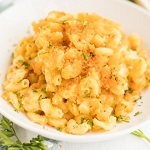 Mac and cheese has got to be one of my all time favorite recipes, even as an adult. Nothing beats the cheesy, creamy goodness that only a big bowl of mac and cheese can provide. It’s the ultimate comfort food. I always make homemade mac and cheese. Making it from scratch is pretty much just as easy as the boxed stuff, and it tastes WAY better. I think we’ve managed to master this quick and easy baked mac and cheese recipe. Trust me when I say, you’ll taste the difference. 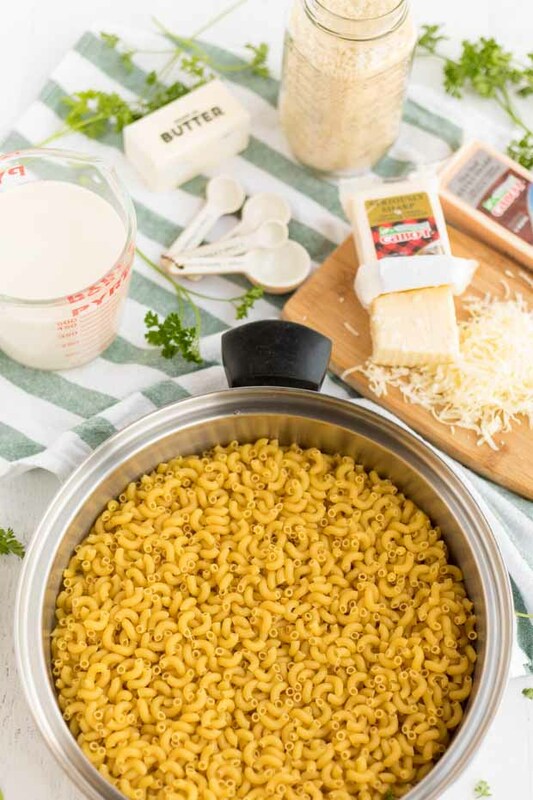 And, if you love cooking in your slow cooker, make sure you check out our crockpot mac and cheese as well! Or for a delicious alternative, try our chili mac and cheese. This deluxe recipe is packed with creamy, cheesy goodness, tender macaroni and filled with incredible flavor. I use high quality cheddar cheese and milk to make the sauce, it’s so creamy and delicious! The flavors are so amazing. You’ll really love the sauce — it’s made from scratch and has the best flavor. I use high-quality sharp cheddar cheese and milk to make it. It reminds me of old fashioned meals my grandma baked when I was little. You can spice it up and add in extra toppings and ingredients as well! Add seafood to make it bit more gourmet, or simply add chicken or bacon to get some protein in there! Extras like lobster, crab, bacon or even buffalo chicken to take your dish to a whole new level. If you’re a veggie lover, you can add in broccoli or peas, too. This hearty meal is perfect for a busy weeknight dinner or to serve to guests at a gathering. Get ready to enjoy all the delicious flavors. 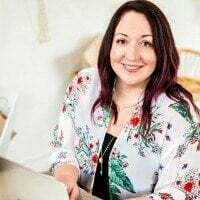 I am so thankful to Cabot Cheese and Vermont Tourism for generously partnering with me on this post, so I could talk about my favorite food – cheese! 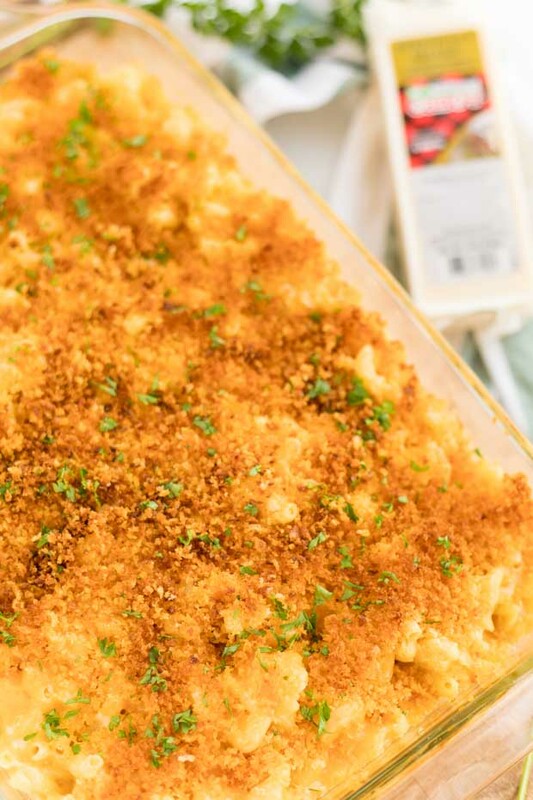 Making homemade baked Mac and cheese is just as easy as making the boxed version. It’s as simple as cooking your noodles, mixing in the cheesy sauce, baking the top to a golden perfection and just like that, you have the best mac and cheese ever. In a large skillet, add your macaroni, water and salt. Place the skillet and ingredients over high heat and bring it to a boil for about 5 minutes (or until the water has cooked down). Make sure you are stirring this consistently. After, add in the evaporated milk and bring that to a boil. Remove the skillet from the heat and add in your cheeses. Stir the mixture until the cheese has melted completely. Next, pour the entire mixture into a greased baking dish. In a small bowl, mix together your topping ingredients until they are well combined. Then, generously sprinkle it over the macaroni. How Long Do You Bake Mac and Cheese? Place dish under a low broiler for 5 minutes or until golden brown and serve immediately. The trick is, that you aren’t actually baking the mac and cheese, you’re broiling it. You just want to bake it until the top is golden brown and a little bit crispy. Some of our favorite things to add to the baked mac and cheese recipe are lobster, crab bacon or even buffalo chicken! If you’re more of a veggie person, try adding in broccoli, carrots, cauliflower or peas to your mac and cheese. These are all great options. The sky’s the limit as far as toppings on this recipe go. You can add anything and everything to your mac and cheese if you’re looking to mix it up and get creative. Or, as always, you can keep it classic. Reheating pasta in the microwave never seems to provide the same taste as when you’re eating it fresh out of the oven. But, that doesn’t have to be true of all methods for reheating. Here is a trick to reheat your baked mac and cheese so that it tastes like you just took it out of the oven for the first time: instead of tossing it in the microwave, use the oven to reheat. Cover the pan with you mac and cheese with a piece of tinfoil and place it in the oven until it is heated all the way through. Easy as that. If your mac and cheese seems a little bit dry, you can also add a touch of evaporated milk to make it a bit creamier. Baked mac and cheese is a classic, comfort food. I’m sure this recipe will become a family favorite for you as well. Baked Ziti <- So Cheesy! 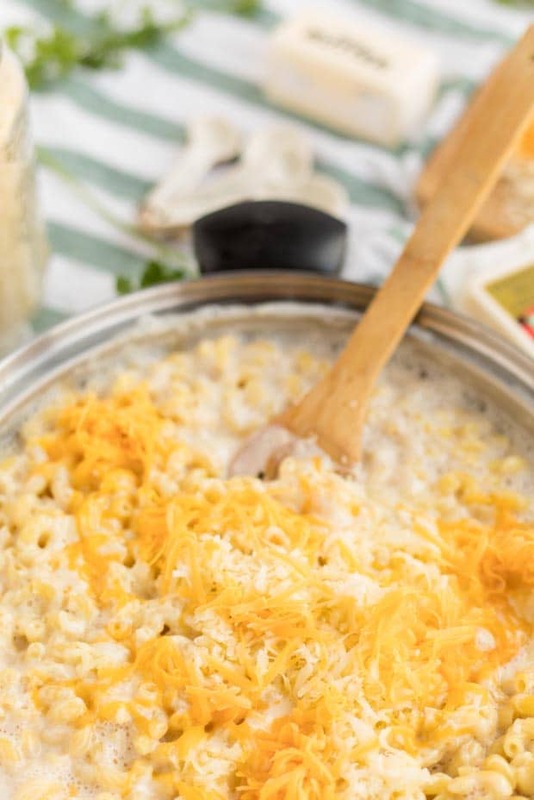 This easy, creamy, delicious homemade mac and cheese recipe is the best! Add macaroni, water, and salt to a large skillet. Place over high heat and bring to a boil for about 5 minutes or until the water has cooked down. Stir consistently. Add evaporated milk and bring to a boil. Remove from heat and add cheese. Stir until the cheese has melted completely. In a small bowl, mix topping ingredients until well combined. Generously sprinkle over macaroni. 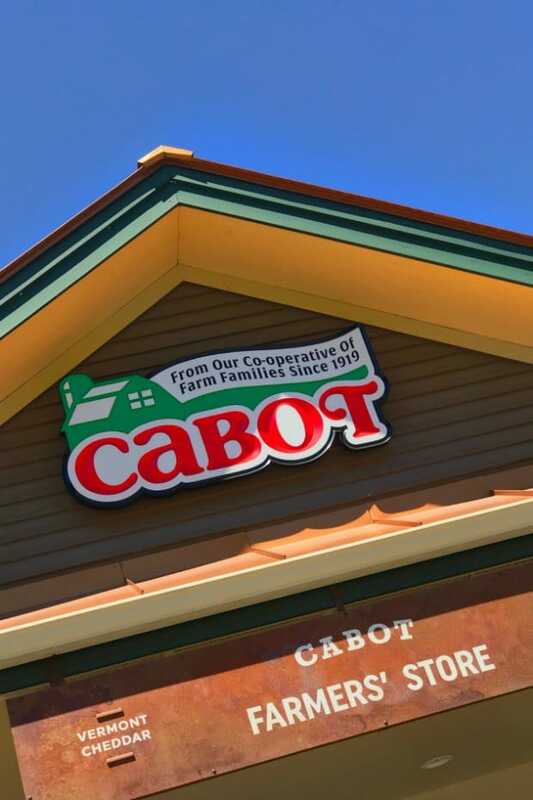 During a trip to Vermont, I had the pleasure of spending time surrounded by all the delicious morsels Cabot Creamery had to offer as well as learn a little more about the company. It was a fabulous trip. It was so beautiful and there were so many fun things to do! If you haven’t yet, take a peek at my tips for Where to Stay, Eat and Visit in Stowe, Vermont. I love seeing how things are made and getting a behind-the-scenes look, so this satisfied my curiosity in a great way. I even got to visit with calves and their mamas at a local Cabot dairy farm. One thing that stuck out to me during the entire trip is that Cabot Cheese takes legacy very seriously. They’re all about thinking and planning for long term, which I think is amazing. They operate as a co-op and their entire team takes pride in their work and they are all working with a common goal and passion in mind. I love that kind of culture! Since they’re a co-op, they’re owned by 1,000 farm families throughout New England and New York. 100% of the profits go back to their farmers. I love that about them. They’re also a Certified B Corporation — the first cheese maker to achieve this validation. Their attention to detail shines through in their amazing products. I was in heaven sampling all the amazing dairy they produce. All their cheddar is 100% naturally lactose free, naturally aged and naturally gluten free. While visiting, I had the opportunity to go to the Farmer’s Store. I knew I loved cheese but I loved the store more than I ever thought I would. They have a large table where you can sample all the cheeses. I was in heaven. Cabot’s Seriously Sharp will also win every taste test with me. I love it. And it is THE BEST cheese for making mac and cheese. But that day I really enjoyed the White Oak Cheddar Cheese and the Alpine from the legacy collection. I also loved the Everything Bagel in the flavored cheese line. After a vacation, it’s inevitable that I will start craving something delicious I ate while I was away. When I got back from Vermont, I was craving a big bowl of homemade mac and cheese so badly. What we came up with hit the spot: this cheesy, deluxe baked macaroni and cheese is a recipe I know we’ll make often. I think the sauce, while simple, produces the best flavor. There’s a reason I think it’s the best baked mac and cheese recipe: the high quality cheese shines through! 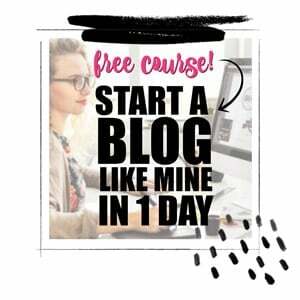 I hope you’ll try it soon… you won’t be disappointed! 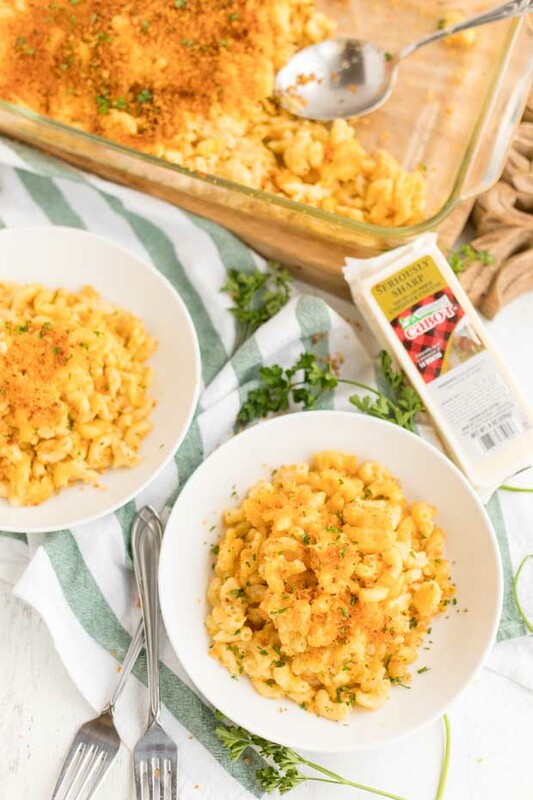 The good news is you don’t have to travel to Vermont to get delicious Cabot Cheese — just head to your local store and you can create this homemade recipe in no time! I’m confident we’ll be making this again and again it’s so good. haven’t tried it yet, but plan on it soon. The best!!! 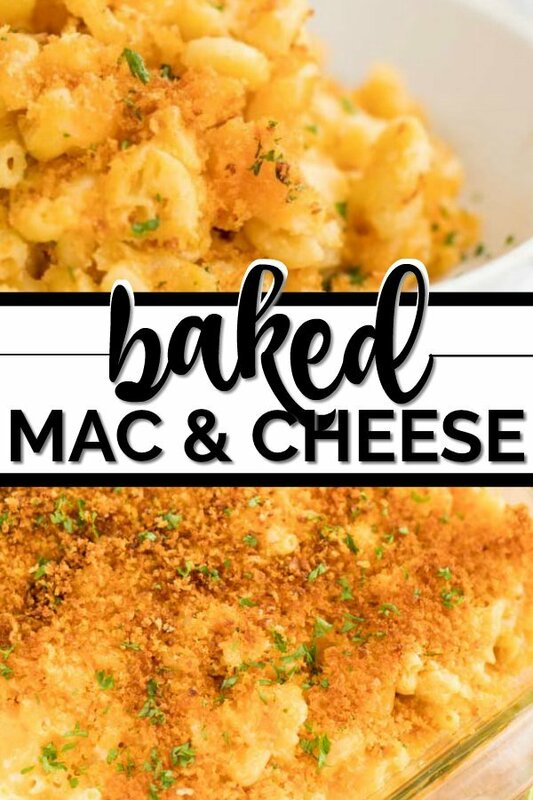 Love this baked version of mac and cheese! It’s on repeat for back to school! That looks so delicious and creamy! We recently visited Vermont but didn’t get a chance to do much sightseeing but your post made me wanna go back again. The cheese looks so food and would be so nice to know where your ingredients are coming from.